Harvey Maria offers fun and quirky patterns to brighten your day, to classically sophisticated looks. 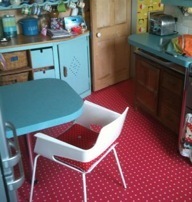 For example cover a kids’ playroom floor with a field of daisies or a grassy meadow. 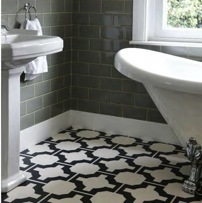 All Harvey Maria vinyl floor tiles combine great looks with amazing practicality. See the Designer Collections, from some of the leading names in contemporary design, Cath Kidston, Neisha Crosland, Tadao Ando and Hemingway Design. Harvey Maria offer a truly fabulous collection of modern, luxury and designer LVT floor coverings, suitable for any room in the home. In fact luxury vinyl tiles have never been so well designed,in terms of practicality and design choice, they're simply the best. Whichever look you want to create, funky or formal, Harvey Maria have assembled the best modern collection of luxury vinyl tiles in the UK. 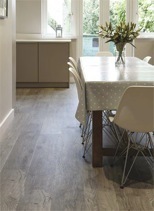 Vinyl Tiles are made from super tough, materials but are durable, versatile and a very practicle floor covering. The warmth and softness of a true rubber floor creates a sensory pleasure for weary feet, and really low maintenance.